An acquaintance recently mentioned to me that there were many crocuses blooming in her garden when she first bought her house 5 years ago.. Since then even more crocuses bloom every spring. 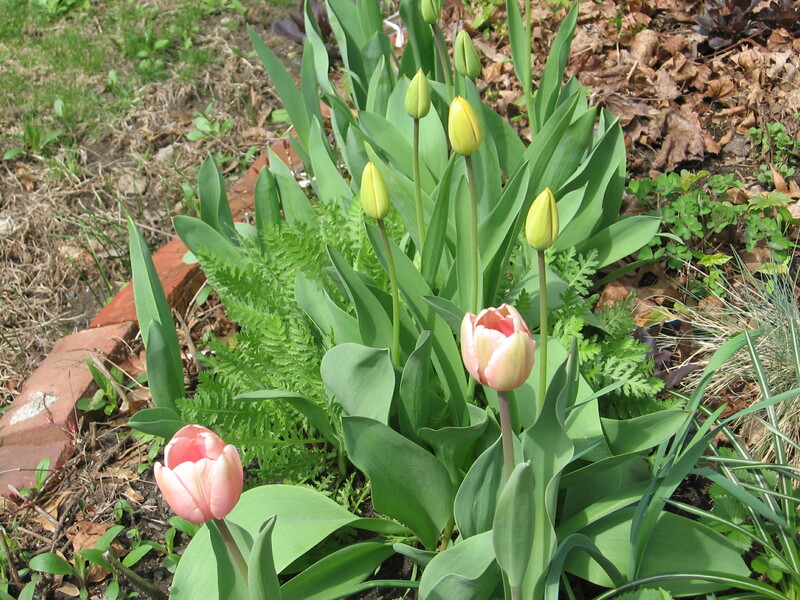 The tulips she planted bloomed the first two years but only produced foliage and two small blooms the next year. Why do some bulbs bloom every year while others are short-lived? Although tulips are considered perennials, many gardeners, including myself, find that some tulip bulbs are short-lived, often flowering for only a couple of years. Bulbs that are ‘breeded-in’ for new color, size and larger flowers tend to do this. Breeders have pretty much left Botanical or Species tulips, which are smaller than hybrid varieties, alone. Darwin hybrids, Emperor Tulips and Kaufmanniana tulips come up year after year. To ensure that your bulbs stay healthy and long lasting, plant them in a sunny location where the soil is well-drained. If the soil gets too wet, the bulbs will rot. If you need to increase drainage, add compost, peat moss or coir (product from coconut husks that acts like peat moss) to the soil.